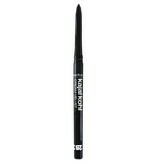 A retractable eye liner with ultra-soft texture. Ophthalmologically tested. Made in Germany.